The artist who made this sign certainly took pride in his work. 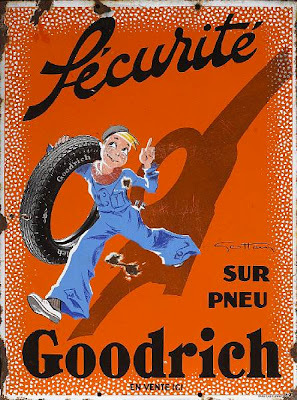 This wonderful vintage Goodrich tire sign is made with enameled metal and dates back to the 1930's. Made in France.